The group, called the LGBT Connection, meets the first Tuesday of every month from 10:15 a.m.-noon. Since its founding in 2012, it has grown to about 20 members. Ann Schwartz, 76, said isolation was one of things that brought her and her wife to the group. “I moved back to Napa in 1971. And since then, people we knew socially have died or moved away, or just sort of dropped out. This group was a way to reach out and see who was around in Napa,” she said. Michael Muir, 65, has been a member since the group’s inception. “I met Ian at a community forum and I was really impressed with how big the umbrella of his vision was,” Muir said. “He wanted a place that was inclusive of every conceivable shade of the rainbow, and involve us all. Muir said he used to live in Berkeley and was involved in the Pacific Center for Human Growth, an LGBT community center. Krystalargo de Lindachrist, 81, joined the group about six months ago. Discrimination is still a very real thing, even in Napa, according to Stanley Posadas. “Imagine if you worry whether the person you are sharing a house with, or renting from, is going to be OK with your identity,” he said. And having a place to discuss their identity openly is particularly hard for older people. That reaction is typical of people in the group, Stanley Posadas said. The group is dedicated to confidentiality, so they can discuss their feelings, challenges and identity openly. “We aren’t afraid to lay our cards on the table here,” said Muir. Because isolation and loneliness are such a big issue for LGBT seniors, members say, they wish they could meet even more often than they do. Besides talking about serious issues, they try to have fun too. 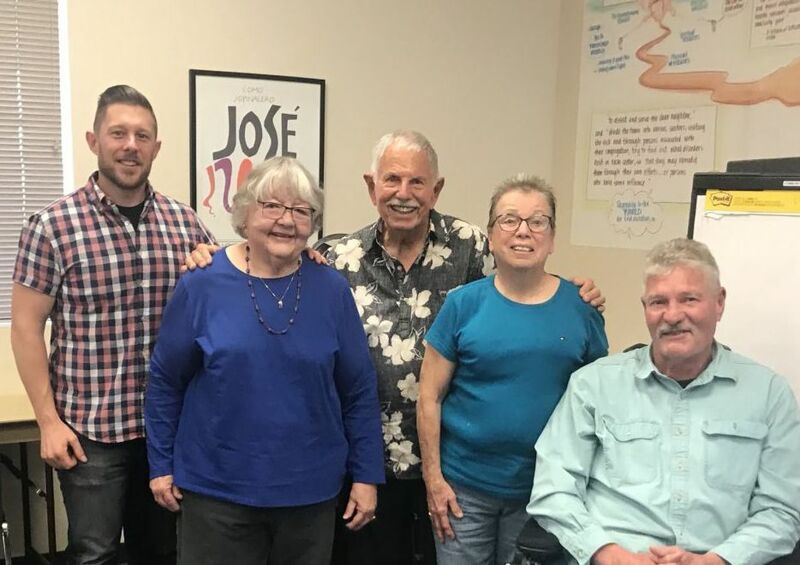 Members of the LGBT community in Napa are welcome to join and can get more information by calling Stanley Posadas at 251-9432, or visiting their website: LGBTQconnection.org. “Even if you’re not out of the closet, this is a safe place for you,” Stanley Posadas said. Members agree that it’s a safe and welcoming environment. “Come out, come out, wherever you are,” said Muir with a laugh.